01/01/2013: MMR is pleased to announce that Gina Policano has been made a Principal of the firm as of January 2013. 01/01/2013: MMR is pleased to announce that Gina Policano has been made a Principal of the firm as of January 2013. Gina first joined the firm in January 1987, as a first year law student, and was with the firm until 1993, when she was offered a job as a Staff Attorney with the United States Court of Appeals for the Fourth Circuit. After 17 years with the Fourth Circuit, Gina rejoined the firm in May 2010. 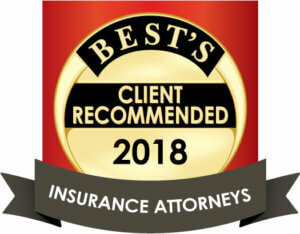 Gina represents employers and insurers, specializing in complex civil litigation matters as well as defending claims related to workers’ compensation, liability, accountant and lawyer malpractice defense, and defending property claims. A native of Kingston, New York, Gina received her undergraduate degree, with high distinction, from the University of Virginia in 1983 and her law degree from the College of William and Mary in 1989, where she was an Editor of the Law Review. Gina has been a member of the Virginia State Bar since 1989, as well as a member of the U.S. Supreme Court, the Virginia Court of Appeals for the Fourth Circuit, the U.S. District Courts for the Western and Eastern Districts of Virginia, and the U.S. District Court for the Western District of Pennsylvania.